At Intellect, we want to empower everyone to innovate and help you change the way you do business. 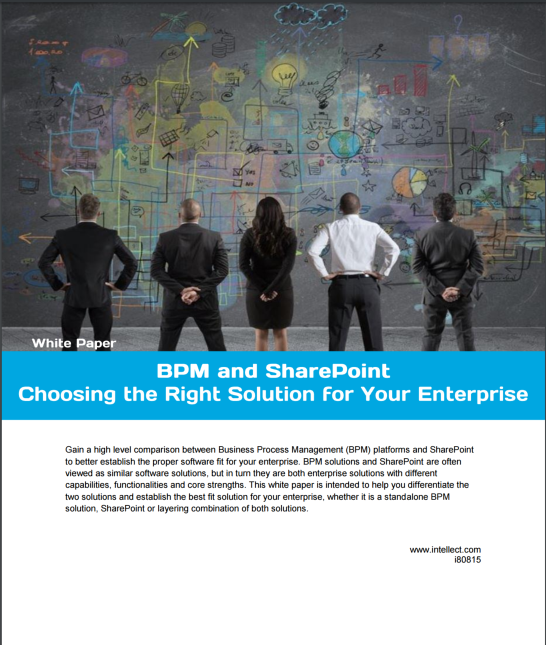 Download the Intellect and SharePoint: Choosing the Right Solution for Your Enterprise white paper. SharePoint at a glance SharePoint is a content management system (CMS), constructed to organize information and content in an intranet or extranet.